Here at Ballyhara we are proud to be able to offer for sale some of the most unique , versatile and beautiful horses around. For more information on these most magnificent horses please contact us 763-232-0001. At times we may have other horses for sale also. 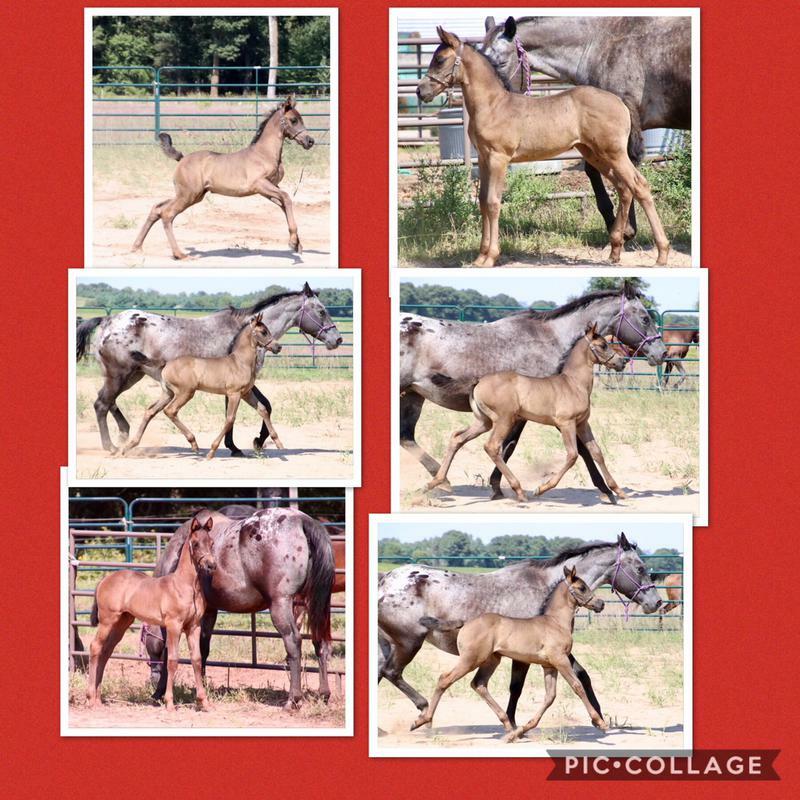 In all of our foals we breed we strive forward to our goal of beautiful heads,correct conformation, breathtaking movement and most important,the dispostions to be lifelong family horses. Please see the sales list below. And thank you for visiting Ballyhara. All foals come from very carefully chosen mares that we hope will complement the qualities of our Stallion and produce exceptional foals. Please see below for sales list. SOLID BLACK Friesian x Appaloosa Sport Horse Filly! beautiful, elegant and fancy. This Filly is Phenomenal mover built for Performance. She has incredible conformation to be an exceptional athlete! Perfect shoulder, short coupled, strong hip. With perfectly set neck and expressive face. She is built beautifully with Elegance!!! Great bone, nice chest, and legs. Sire and Dam on sight. Daughter of the imported first premie Ster Stallion who made it to the 70 day stallion testing. She has tons of handling and imprinting at birth She is extremely friendly she will stand tied and will be leading and standing well for the Ferrier before she goes home. She is 5 panel negative color DNA’d and registered and DNA’d with Friesian Heritage Horse. This Filly will stay solid black she does not carry the lp color. She will be ready to go home the first of December. She will be UTD on shots and worming and Ferrier before she goes home. If you have any questions please call text or PM me. Copyright 2011: Ballyhara. Cavachon Puppies for Sale. All rights reserved.